The creep gate produced by Tully Forge is a heavy-duty gate manufactured from tubing, with a 2.6mm wall. 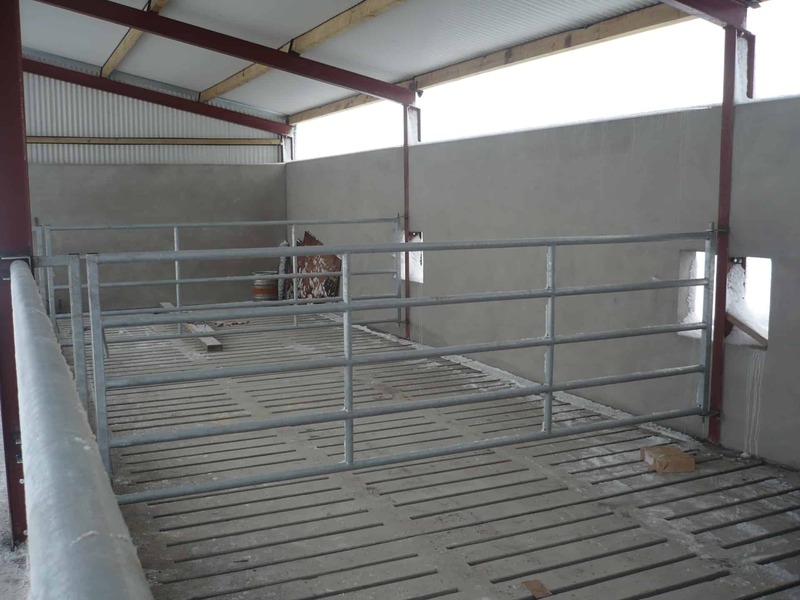 It is galvanised, which provides life-long protection from corrosion and rust. Our creep gate is available from all Connaught Gold Retail Stores. With today’s high meal prices, using our creep gate is an efficient way to ensure that your calves get the quality feed they need. 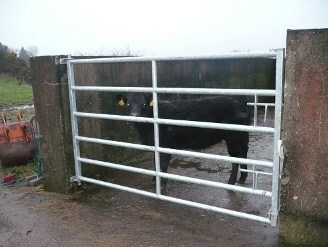 The photograph below illustrates how our creep gate can be utilised in other ways. 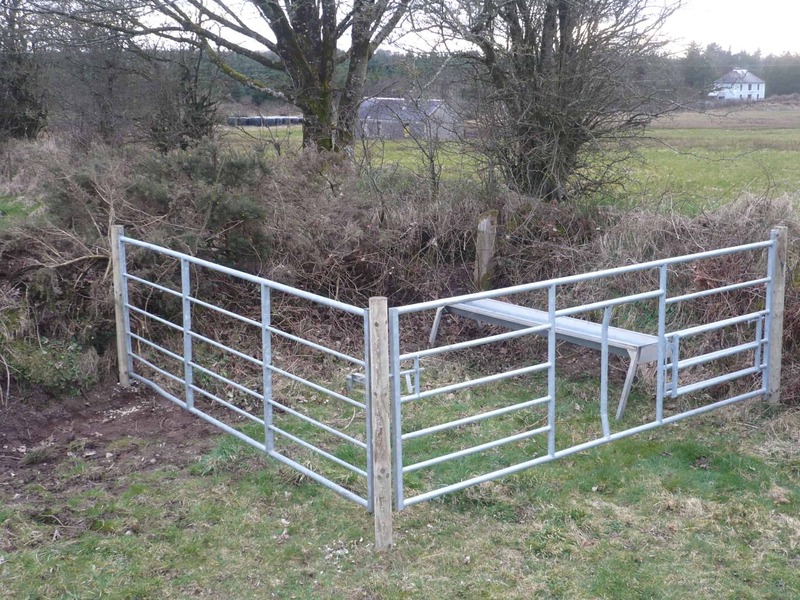 In this instance, by simply adding another gate and a trough, the farmer has created a pin in the corner of his field, allowing his calves to access the meal they require. 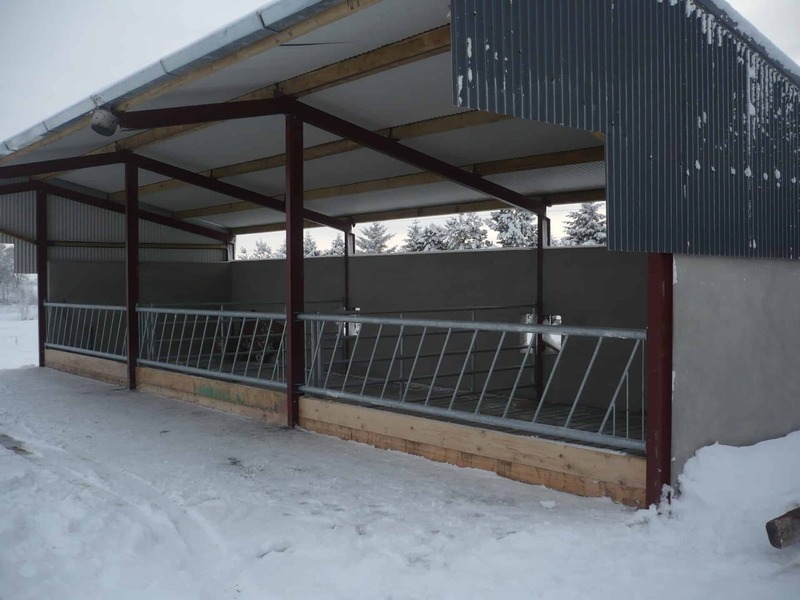 Our feeding barriers are made 76mm tubing with 33mm tubing uprights. They fully galvanised and can be hung on the left or the right side of the bay. 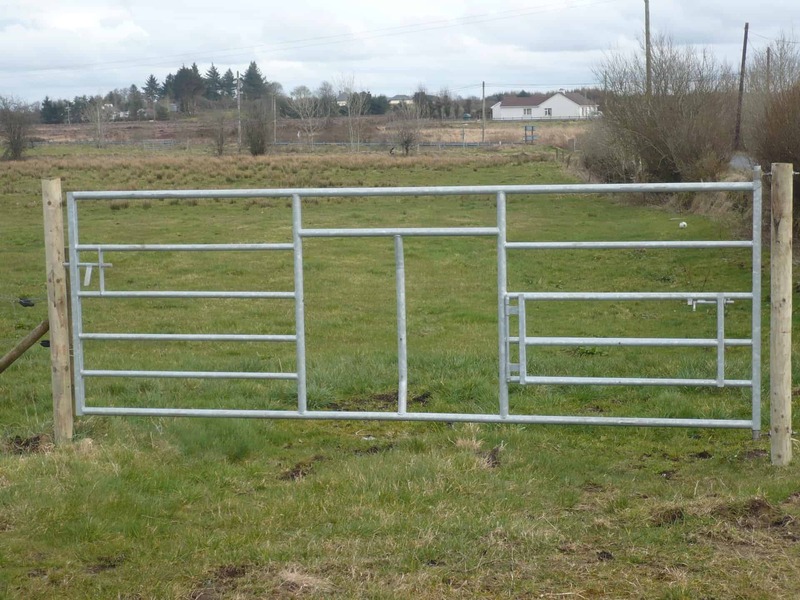 These heavy-duty gates are made from 2.6mm tubing and will withstand a lot of pressure from bulls and cattle. We manufacture Two types. The first is four foot high with 5 rails and is ideal for between pins in a slatted house. The second type is Five foot high and is made with 6 rails. This is commonly used in cattle pins and crushes. All sizes can be made to order.